I feel that any tournament in which I have a game for prize money can basically be deemed to be a success regardless of the result of that game. Going into the last round of the Gibraltar Amateur a win would have secured (as it turned out) a share of second place and £400 prize money. Unfortunately my game as black against Klaus Kuenitz (1680) of Germany went wrong more or less straight after the opening, and although my opponent did make some mistakes which I could have exploited to get back to an equal position I missed the opportunities and was defeated. In this position I considered three plans. 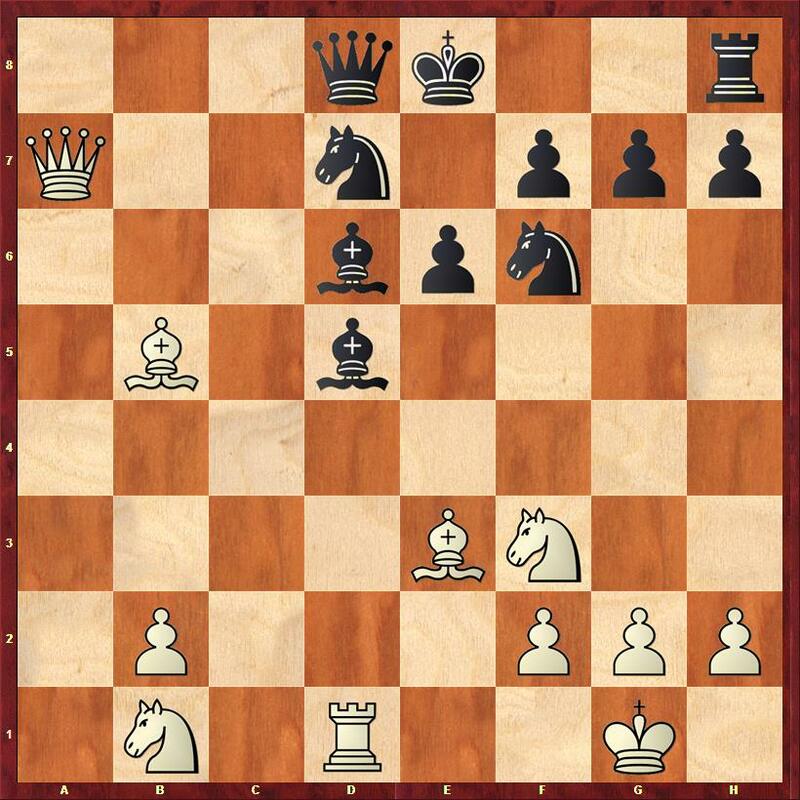 Firstly I could push the c pawn with 10…c4 11.Bc2, but I was concerned that white’s central pawn majority would give him a long term advantage. What I probably should have done was play 10…b4 giving up the c4 square, but controlling c3, and preventing white from opening the a file. Instead I decided to give white an isolated Queen’s pawn, and then play against it. I was surprised when he did this, as I had calculated this through to an endgame where I thought I would be better. After the game my opponent was very critical of his play. He felt he played too fast, and gave me some chances to escape. This was the first opportunity. He should have played 15.Nd4 Bxb5 16. Qxb5 and there is just no way for black to develop. Here I looked at the line 15… Bxb5 16. Qxb5 Be7 17. Ne5, but I missed that 17…Qb8! 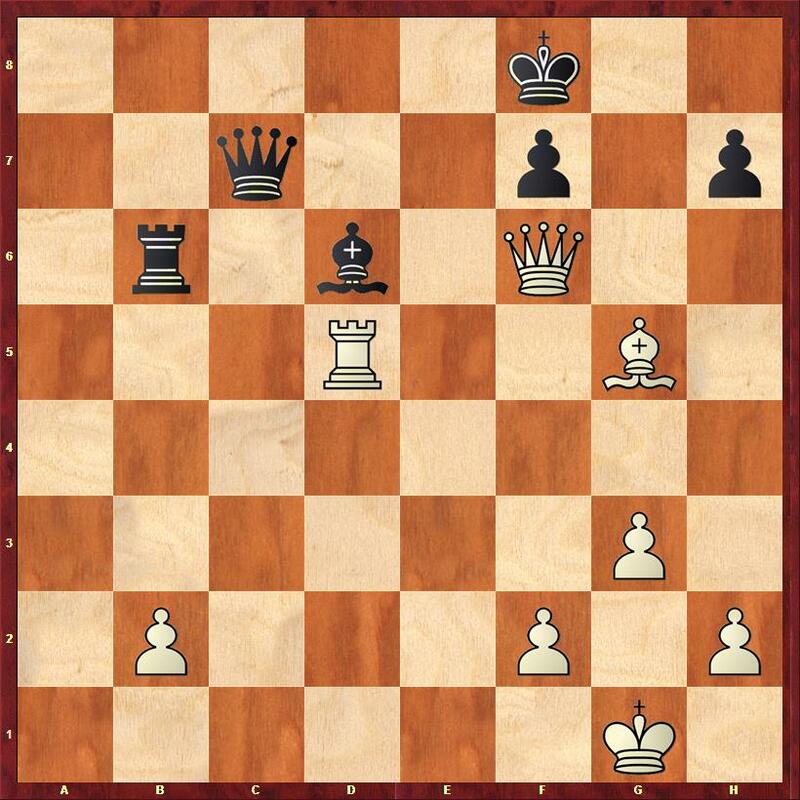 hits the queen and knight, and therefore forces 18. Qxb8+ Nxb8 equalising. White should have played 18. 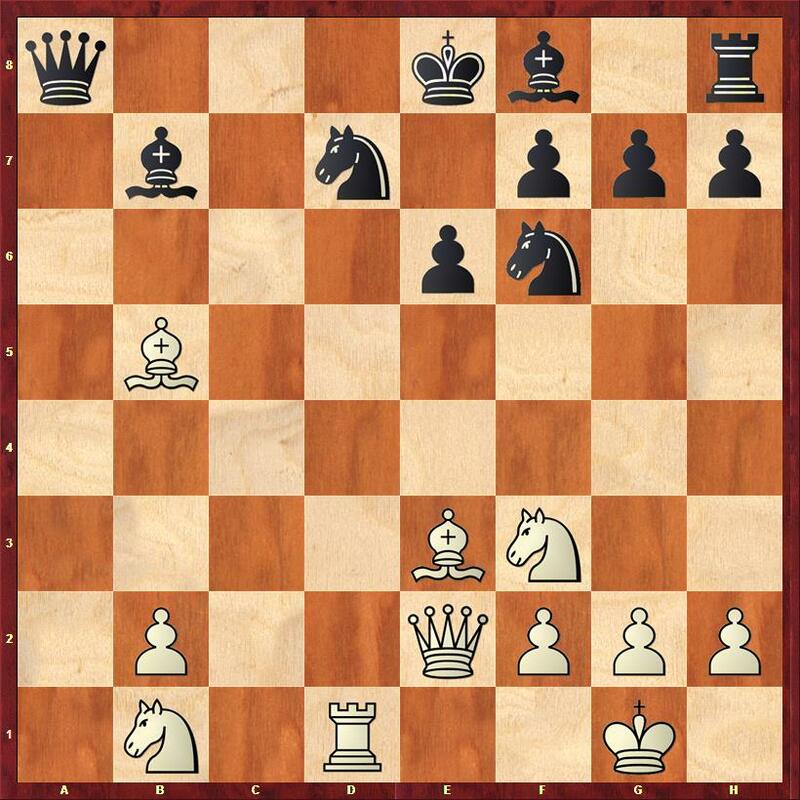 Nc3, after which the best idea for black is to abandon the d pawn with 18…O-O 19. Nxd5 exd5 20. Bxd7 Nxd7 21. Rxd5. Obviously this is lost. And I miss opportunity number two. For some reason I cannot now understand I thought if I castled I would be losing material. In fact the position after 18… O-O 19. Nc3 is more or less equal. The final position – black resigned. 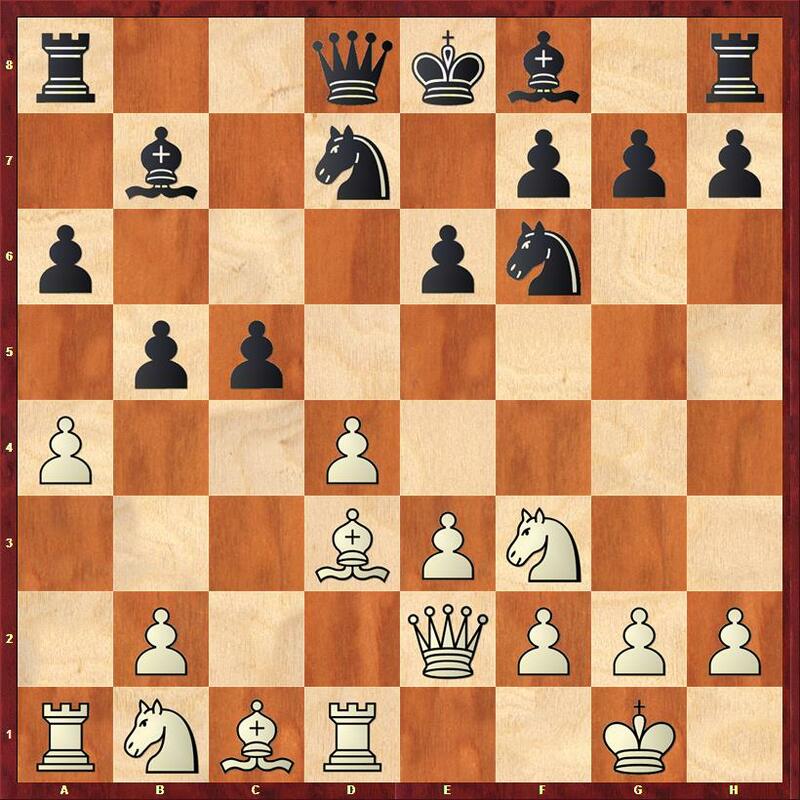 In this position I was unable to think of a sensible move as both 32…Be7 and 32…Qe7 allow 33.Qh8# so I resigned. The line of greatest resistance is 32… Ke8 33. Rd1 Rb5 34. Qh8+ Kd7 35. Bf4 and appropriately the pin on the bishop wins the game. So my tournament ended on 3/5. This is probably a fair result – I didn’t play any particularly good games, but I didn’t on the whole play terribly. As a result of the tournament my FIDE rating will go down a little bit, and my Chess Scotland rating will go up slightly. I guess the result was about par. 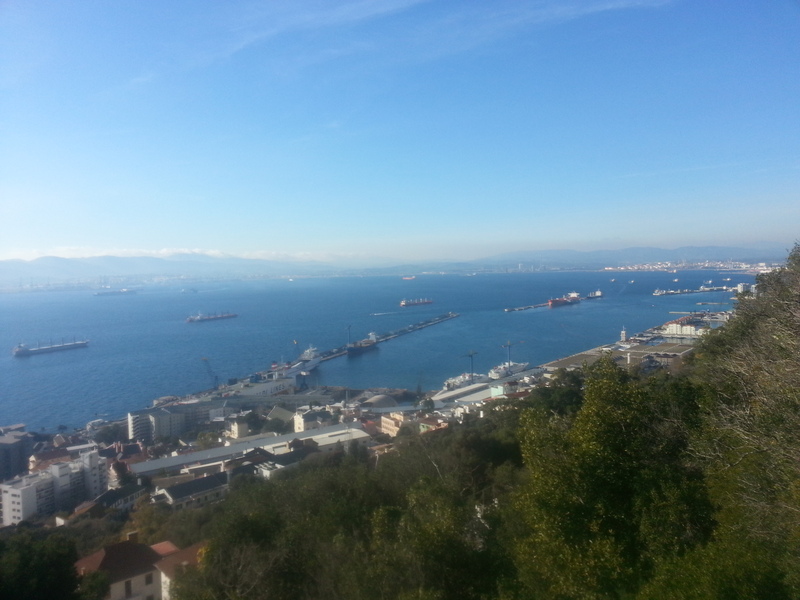 Gibraltar is a fascinating place to visit, and has a much nicer climate than Scotland in winter. The tournament is very professionally organised, and is held in an excellent venue. The masters tournament gives the opportunity for ordinary players to complete with the world’s best. The morning challengers and amateur tournaments give the opportunity for ordinary players to play internationally rated games in the morning and watch the Grandmasters in action in the afternoon. Players with excessive enthusiasm can do both. There is live commentary of the games and chess activities organised in the evenings, such as blitz tournaments, and master classes with well known Grandmasters such as Veselin Topalov and Richard Rapport. I would highly recommend the Gibraltar chess festival to just about any chess player. I hope to be able to participate again next year.